Rabbi Carter joined PSJC in 2000. She received her ordination from the Jewish Theological Seminary in 1997, having studied both in Jerusalem and at the University of Judaism. 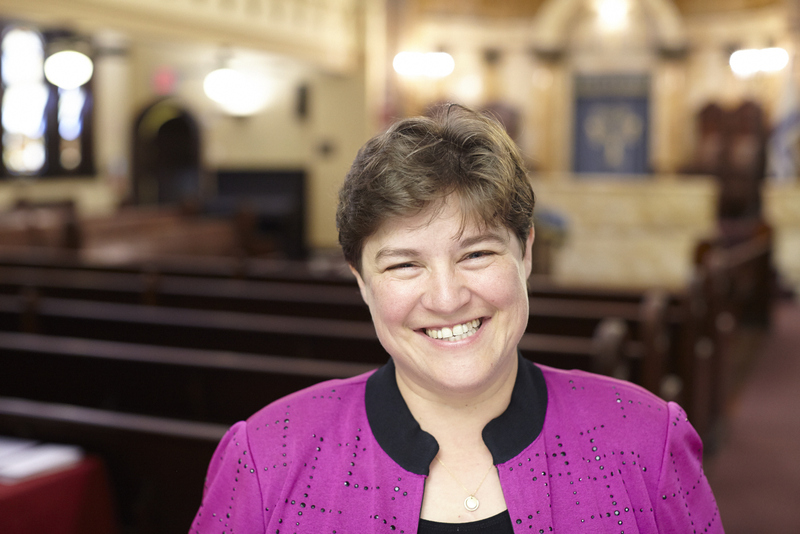 Prior to beginning her position at PSJC, Rabbi Carter served for three years as Director of Cleveland Metro Hillel and Assistant Executive Director of Cleveland Hillel. She was also Auxiliary Rabbi at Park Synagogue, a Conservative congregation in Cleveland. Rabbi Carter has extensive experience with informal Jewish education, having spent many years as an educator at Jewish summer camps and youth programs. Rabbi Carter is dedicated to promoting the inclusion of women within the public story of the Jewish people. She has lectured often on this subject and has facilitated numerous creative rituals around women’s lifecycle and holiday observances. Rabbi Carter has also been involved in inter-religious dialogue, social justice work and ethical questions regarding the implications of technology. Inspired by her extensive experience, Rabbi Carter is committed to finding ways to engage and excite those who are searching for meaning in Judaism. With an understanding that no single path is right for everyone, she strives to provide “many roads to the palace” of Jewish living. She is committed to building an inclusive Jewish community in which exploration and creativity are encouraged, and where the dignity of every human being is honored and celebrated. Rabbi Carter is happy to meet with people seeking rabbinic guidance or counsel or questions about PSJC. Please feel free to contact her at 718.768.1453, or send email by clicking on the Rabbi’s name highlighted above. A native Midwesterner, Rabbi Carter is thrilled to call Brooklyn home, and can often be found wandering through Prospect Park with her partner Eden, their daughter Noa, and dog, Tali. Judy’s love of music was cultivated west of the Hudson in Minneapolis, where she studied voice. PSJC Cantor Ribnick has served as High Holiday cantor for 34 consecutive years, including 24 years at the piano and was deeply immersed inclarinet, synagogue and Jewish communal life. Her interest in the Jewish community led her to the Jewish Theological Seminary and to Columbia University where she obtained Masters degrees in Jewish Studies and Social Work. She has worked full-time at DOROT, inc., a New York City-based agency serving the elderly, for more than 32 years, where she is Director of Community Services. After hours, Judy cantors monthly at PSJC and periodically at Congregation Beth Simchat Torah. She lends her voice and clarinet to other Shabbat, holiday and lifecycle events. Judy is a member of Romemu and Congregation Beth Simchat Torah and is delighted to be part of the PSJC community. Judy and her spouse, Diane, live in Manhattan. Cornelia Dalton is currently in her fourth year of rabbinical school at the Jewish Theological Seminary (JTS) and holds a B.A. in French and Russian from Bryn Mawr College. After graduation, she spent two years in Jerusalem learning at the Conservative Yeshiva and volunteering with Jewish and Arab youth. In addition to her studies at JTS, she works as the Program Coordinator for the Finkelstein Institute and Milstein Center for Interreligious Dialogue, organizing discussions among faith and community leaders; in 2016 she took part in the summer Fellowship at Auschwitz for the Study of Professional Ethics alongside seminary and medical students. She is very much looking forward to spending the year with the Park Slope Jewish Center community as a rabbinic intern. I have been a member of PSJC ever since I moved to the neighborhood in 1992. In my pre-parenting days, I served on the Board for a number of years as Trustee, Recording Secretary, First Vice President and Acting President. I have also chaired the Avodah Committee (twice) and am a regular Torah reader, but may be best known at PSJC as “the Kotel lady” who distributes red strings and blessings at the synagogue’s now-annual Israel Day. I live in Park Slope. My daughter Shoshie, who grew up at PSJC and worked as a madricha (assistant teacher) at the Hebrew School, is a freshman at the University of Albany. In my “other life,” I am a social psychologist who works as a trial strategy consultant. Elana comes to us from Central Synagogue where she was most recently the Adult Engagement Department Coordinator. Prior to that, she worked for other Jewish organizations and synagogues, including the 92nd Street Y, Yeshiva University, andB'nai Jeshrun. All of these positions entailed a high level of administrative and logistical proficiency which we will deeply appreciate as we move forward and further professionalize our operations. Elana is a graduate of Yeshiva of Flatbush and Long Island University and currently lives on Manhattan’s Upper East Side. She has a rescue dog from North Shore Animal League named Chief Brody, is an avid reader, an amateur cook and an enthusiastic Yankees fan. Elana is thrilled to join the community and eager to learn what PSJC members are passionate about so she can “help stoke those flames”. Aileen has been working in the field of Jewish education since shortly after her own Bat Mitzvah. She holds a BA in Psychology from Goucher College, as well as an MA in Jewish Education from Hebrew College and an MA in Jewish Studies from the Reconstructionist Rabbinical College. 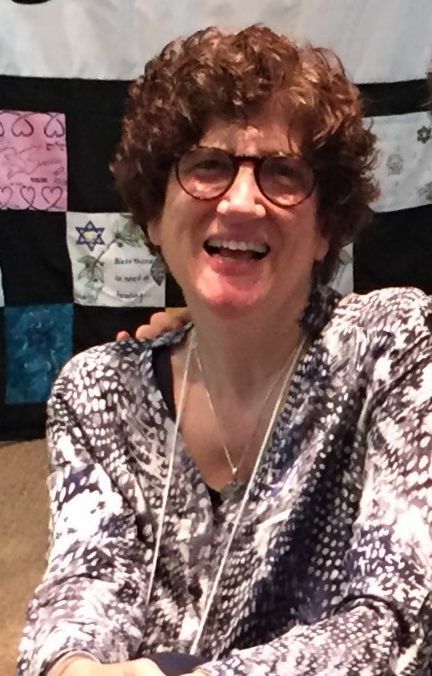 Aileen came to PSJC with a broad background in progressive Jewish education, including serving as a houseparent at a Jewish boarding school, curriculum development for supplementary programs, implementing an informal Jewish learning programming on a college campus, and directing the children’s program for the National Havurah Committee Summer Institute. In addition to directing the Hebrew School, Aileen works with the Family Programming committee, the Shaarei Mitzvah (pre-B’nai mitzvah) program, and leads a family education Shabbat program bi-weekly at PSJC. Marsha has worked in the field of non-profit administration for over 15 years. Most recently she has served the youth programs at Medgar Evers College/City University in Crown Heights, Brooklyn. Originally from Trinidad and Tobago, West Indies, Marsha attended Medgar Evers College/City University where she received a Bachelor of Science degree in Biology. Also she received a scholarship from New York City Department of Youth Community Development certificate program on Family Development and Training from Cornell University. Before joining our staff at Park Slope Jewish Center as the Administrative Assistant, Marsha’s work experience includes having served as an Administrative Assistant, Data Coordinator, and Coordinator at Medgar Evers College/City University. 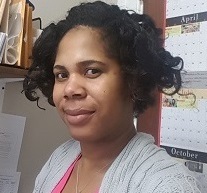 Marsha joined PSJC in August 2015, to which she brings strong leadership abilities to us as she combines her organizational and people skills in overseeing the operations of our facility; working with administrative and maintenance staff. Marsha welcomes the opportunity to meet with all current and prospective members of the congregation. She works in tandem with the Board of Directors, the Rabbi, Executive Director, Director of Youth and Family Programming and Hebrew School Principal and helps execute the affairs of the synagogue including membership and dues administration among members. Patrick Francis joined the PSJC staff as the Facilities Manager in April of 2013 after completing a degree in HVAC and Facilities Management at the Technical Career Institute in New York. Originally from Jamaica, West Indies, he moved to the US and later joined the Navy. Patrick served our country proudly for 25 years. He has truly enjoyed becoming “a part of the family.” He is the father of 3 and a grandfather of 2. You will see him on Shabbat and all other major events so please take a moment to introduce yourself. Sherrod Charles, Billy Laran, Angelica Robbins and Donna Wong.